It needs a warning sticker: meant for top-down driving only. 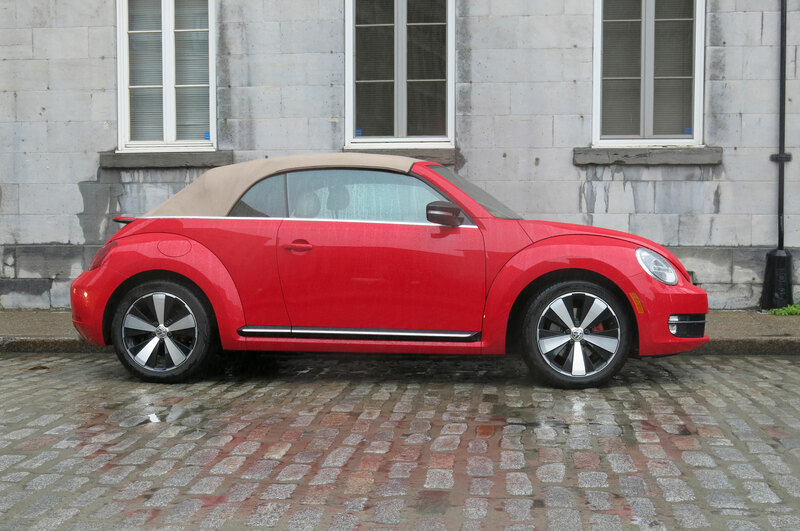 The 2013 Volkswagen Beetle Turbo Convertible has had little downtime since it joined our Four Seasons fleet. 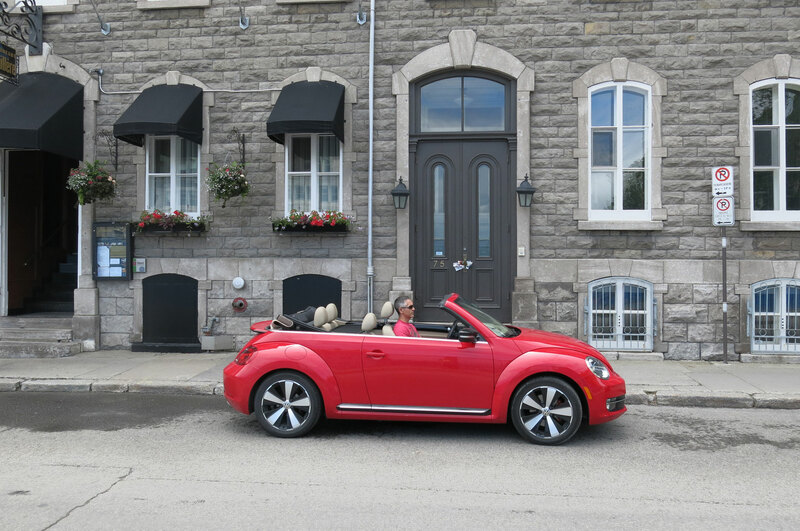 That the Beetle arrived at the start of the summer probably has something to do with the red droptop racking up miles in such an expeditious manner. 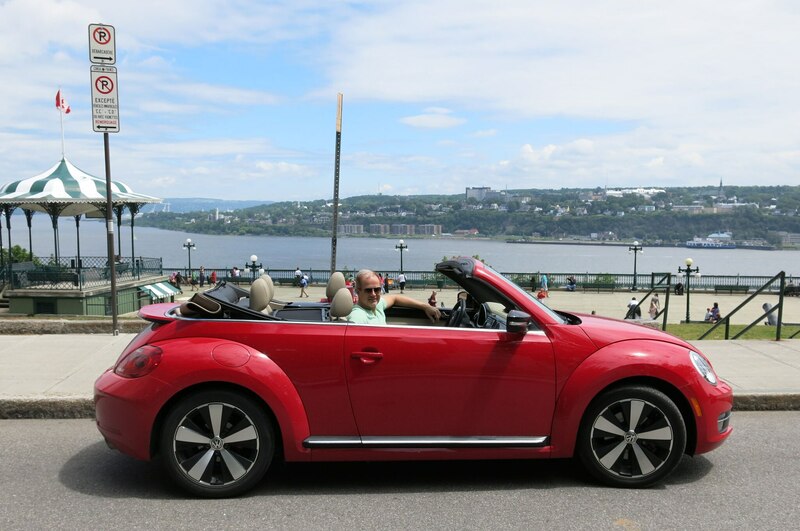 After returning from a jaunt to the east coast, the Volkswagen was handed off to Scott Corlett, a friend of the magazine, for another summer trip east, this time touring Montreal, Quebec City, Martha’s Vineyard, and western Maryland over roughly 3000 miles. 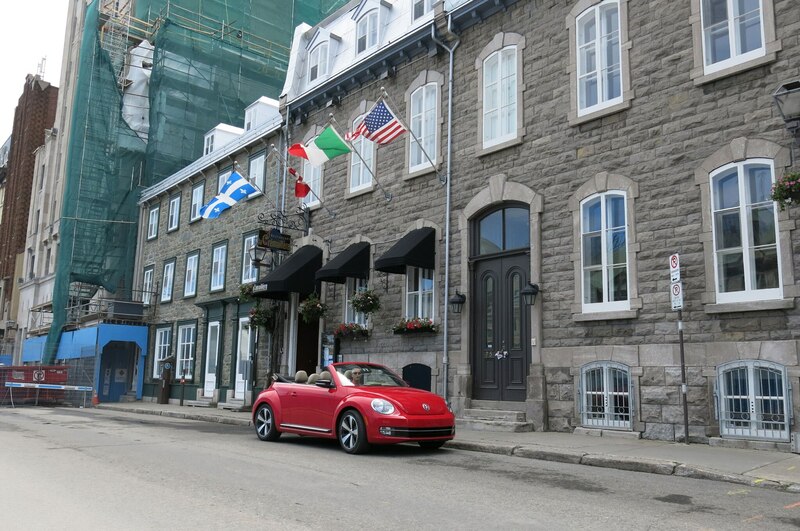 Much of Corlett’s road trip was spent on divided highways in Canada and the northeastern U.S., but that may have been for the best as he described the steering as “a bit loose, but probably right for a light-duty cabrio.” Some editors have compared our Beetle to the GTI — with which it shares its platform, powertrain, and transmission — and have bemoaned the Beetle’s neutered handling. However, the general consensus is that this car is meant to be more of a cheeky convertible than a canyon carver. 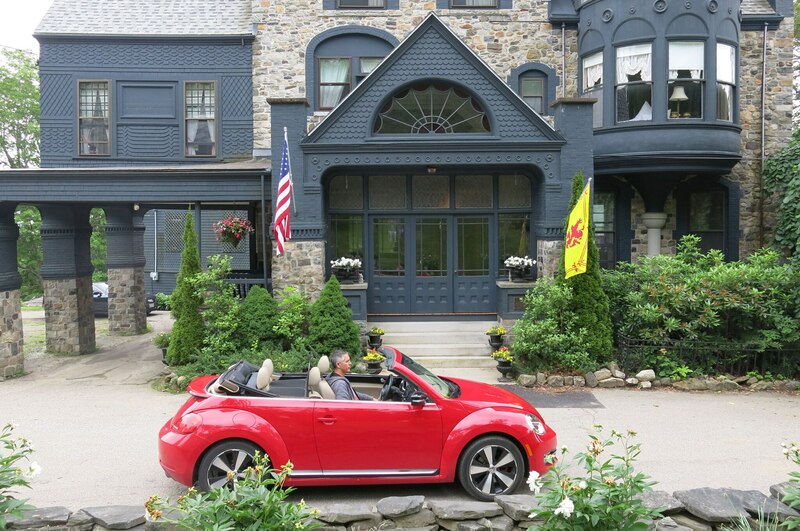 “On Martha’s Vineyard, the Beetle was home. 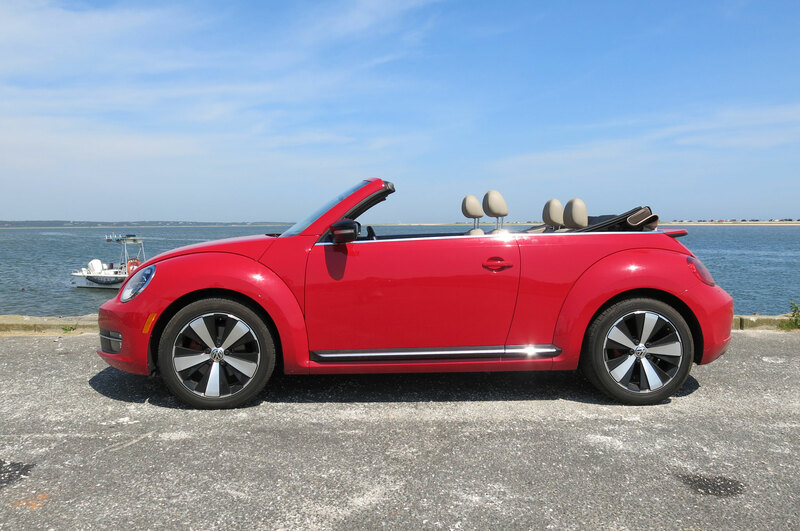 Sunny skies and safe streets: top down nonstop, beach towels covering hot leatherette seats. 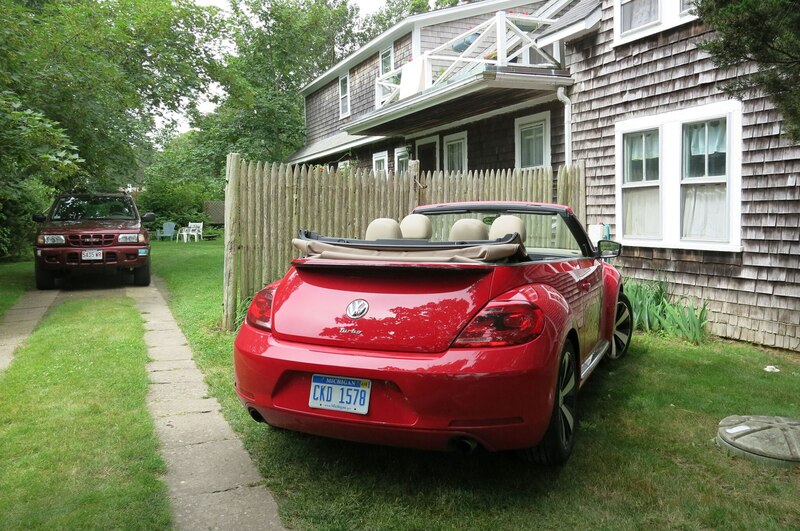 I scored a place in the Edgartown July 4th parade; many ‘great car’ comments from onlookers lining the sidewalks.” Departing the idyllic Vineyard lead to twisty rural roads and congested east coast freeways. The 2.0-liter turbo four can run out of breath in the hills, but the cabin is relatively calm at highway speeds thanks to the wind deflector. 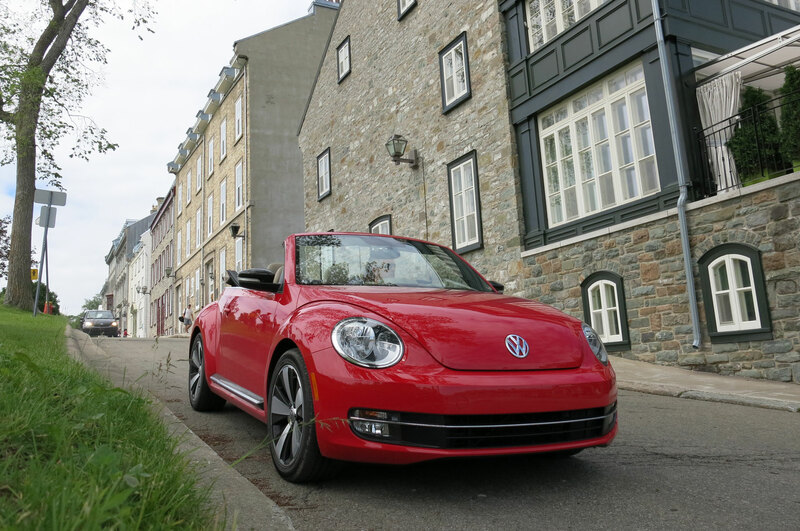 Check back next month to see how the staff at Automobile headquarters feels about our Volkswagen Beetle Turbo Convertible as the end of summer nears. A hot hatch in Beetle garb.